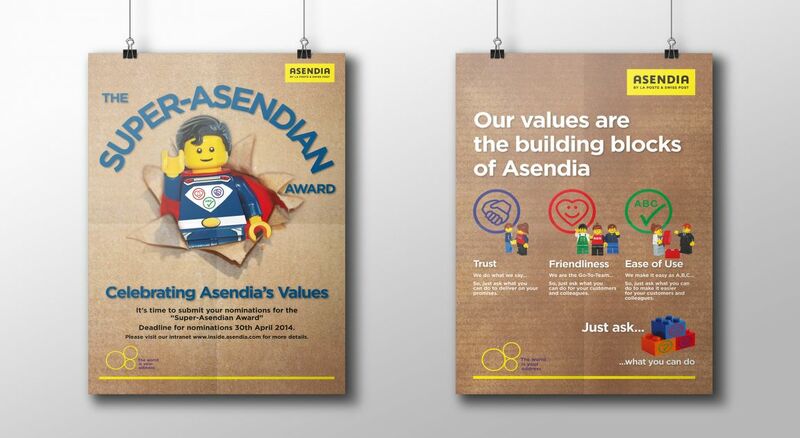 Award winning global employee engagement campaign for Asendia, communicating and encouraging interaction with their values across the organisation. Working with Asendia as their global marketing agency, The Think Tank was briefed to devise a strategy and campaign to communicate and encourage engagement with a new set of corporate values across the organisation, from USA to Singapore. 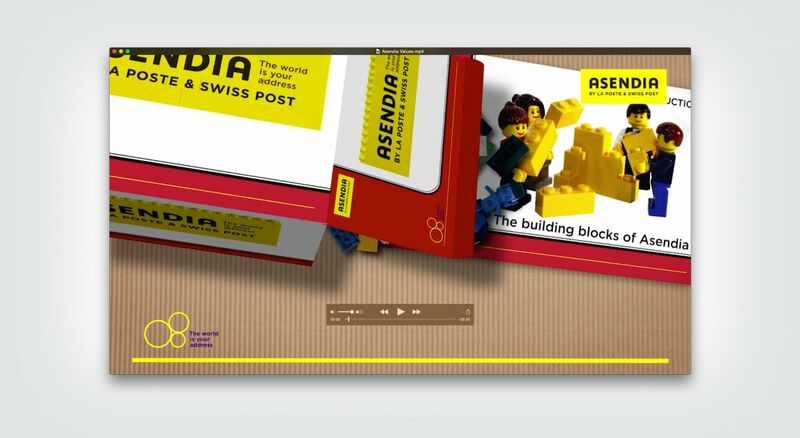 We devised a simple but effective campaign that related Asendia's core values to LEGO, a brand that was representative of the core values of Trust, Friendliness, and Ease of Use. Through a coordinated approach, we communicated the values across the organisation and encouraged engagement and interaction through the use of LEGO to demonstrate what they meant to different departments around the world. 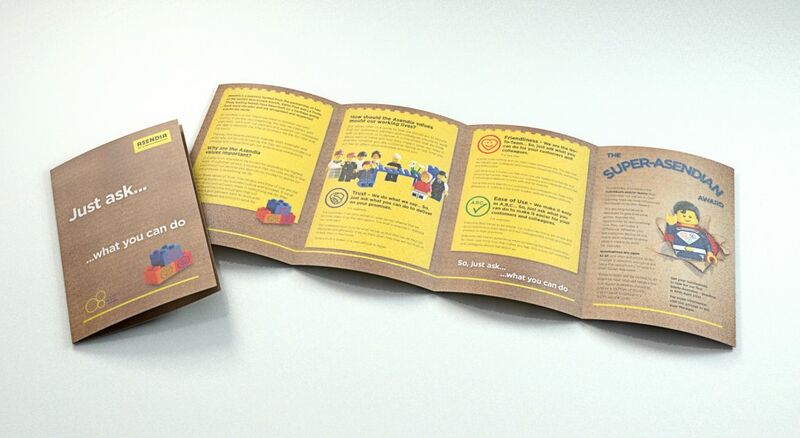 The campaign included an animated video, a managers pack, employees pack, leaflets, and posters, as well as a set of LEGO for each team, It was a great success with very positive feedback from managers across the business and was supported with an Awards programme for those individuals that had demonstrated the values in their daily activities. 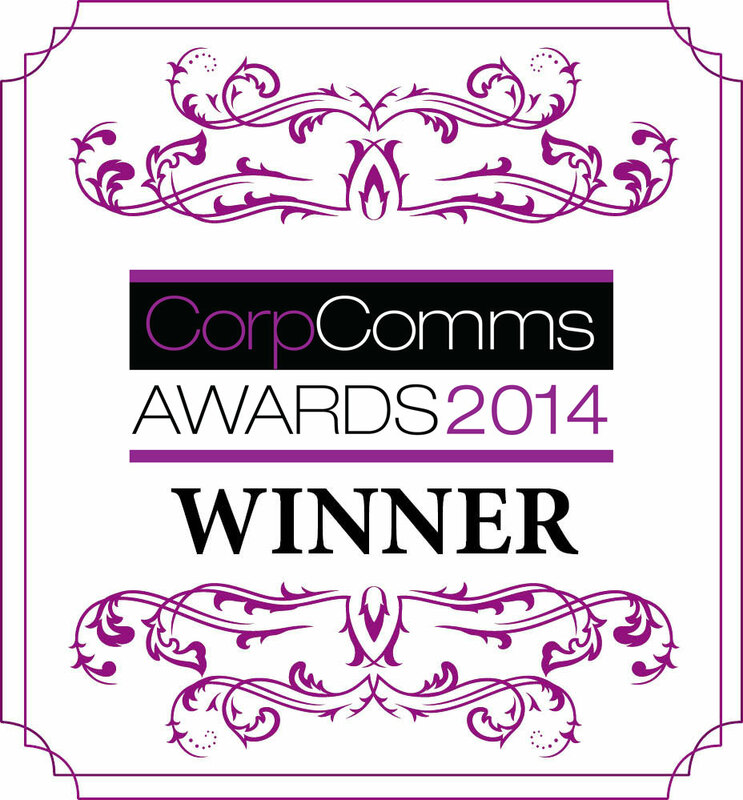 In addition, the campaign won Best Employee Engagement Campaign at the Corporate Communications Awards 2014.